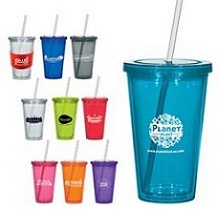 Hand out a perfect soft-drinks solution with a personalised branding with our Screw Top Branded Stadium Cup. This stadium cup is simply brilliant, will last a long time and is ideal for London's 2012 Olympic events. Why not hand out to customers as a smart business gift to get some publicity for your corporation? For a FREE QUOTE, please fill in the form regarding our Screw Top Branded Stadium Cup and we'll be able to help you.